North of Cabo San Lucas, this historical Spanish settlement is now an exclusive estate on the coast of Baja, Mexico on the Sea of Cortez. In line with keeping the historical reference and laid back lifestyle, this logo represents what travelers seek at the end of the beaten path. 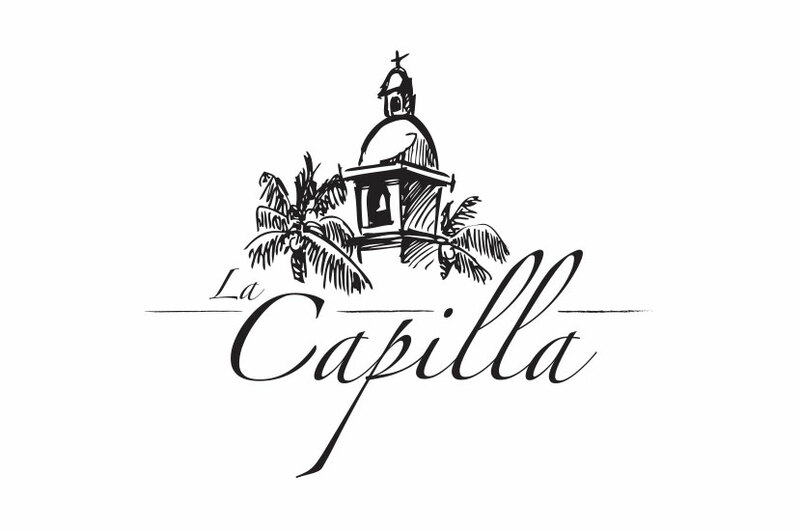 The La Capilla logo beckons to seekers of adventure and relaxation alike. The sketch illustration harkens to the history of the old estate and conveys the timeless charm of La Capilla. The slanted cursive font gives the illusion that the whole logo is blowing in a tropical breeze. This logo definitely makes you want to relax in a hammock, palm trees swaying overhead.